Hawkgirl and Rip Hunter are coming to The CW!? 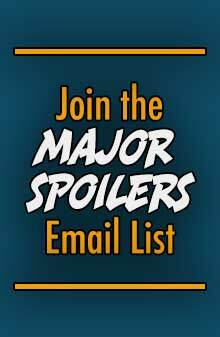 While we are giddy over the news that a spinoff series featuring characters from The Flash and Arrow television series is on the way, we have yet to hear any real casting news beyond the main actors. Who is ready for Hawkgirl and Rip Hunter. We already know the proposed Arrow/Flash spinoff series will features Brandon Routh (The Atom), Wentworth Miller (Captain Cold), Dominic Purcell (Heat Wave), Victor Garber (Dr. Martin Stein), and Caity Lotz who played Laurel Lance on The Arrow before her character was killed off. 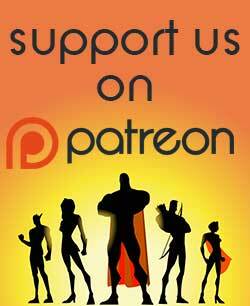 We also learned through the grapevine that three other characters who were unnamed (The Traveler, The Female Warrior, and Mystery Hero) would also be joining the series. FEMALE WARRIOR” | This twentysomething Latina is pretty but unassuming, book smart and socially awkward by day. But by night, when she hears the cry of battle, her fury is ignited and she becomes a fierce warrior — so much so, that sometimes she can become a threat to others. 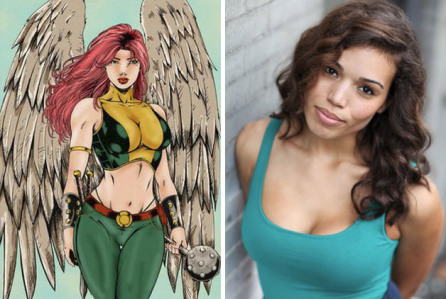 Today, Deadline is reporting that Ciara Renee, will play Hawkgirl in the series. Could she be the Female Warrior? In comics, Hawkgirl’s origin is about as convoluted as they come, with her backstory running the gamut from reincarnated Egyptian warrior to alien Thanagarian warrior. 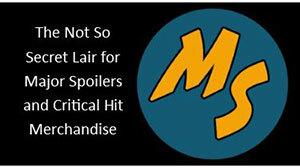 Originally Berlanti Productions said the three unnamed characters would be brand new; having never appeared on television before. Hawkgirl has become pretty well known from her time on the Justice League animated series, and an appearance on Smallville, so Ciara Renee’s casting appears to be yet another new character addition to the show. This is also the case with The Traveller. We’ve already seen Booster Gold on Smallville and the aforementioned Justice League animated series, which only leaves one other major time traveling character in the DC pantheon – Rip Hunter. In his original incarnation, Rip Hunter is portrayed as an ordinary man who uses his invention, the Time-Sphere, to travel through time. Aided by his friend Jeff Smith, girlfriend Bonnie Baxter, and Bonnie’s kid brother Corky, they have adventures in time. These stories were told in the series Rip Hunter…Time Master which ran for 29 issues between 1961 – 1965. Rip Hunter first appeared in Showcase #20 and was created by Jack MIller and Ruben Moreira. 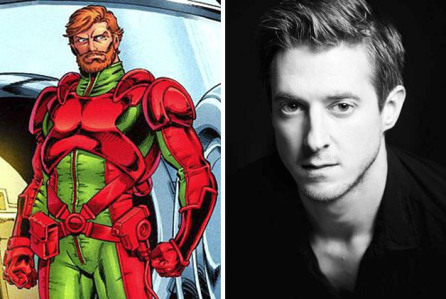 And like Hawkgirl, Arthur Darvill has been cast to play the hero in the series. If Darvill’s name sounds familiar, it should as he played Rory Williams on the BBC series Doctor Who. With these two bits of casting news, the Arrow/Flash spinoff series is becoming more and more interesting with every passing day. Looks like the villains could use a little boost in their rosters. With the appearance of the Golden Glider on The Flash, and last week’s Rogue’s Gallery name drop, could more Flash villains appear soon? This is certainly big news for The CW/Warner Bros. Warner Bros. does have a presentation this weekend at WonderCon where they company is expected to talk up San Andreas and Mad Max Fury Road, but I wonder if they will drop any news regarding this series? Arthur Darvill Ciara Renee CW hawkgirl Rip Hunter Television Warner Bros.
Rip Hunter is a perfect choice for a protagonist since he can bounce around in time aiding heroes at different points in their timelines. The Atom is just now being established, but the show could be five years from now after Palmer has gotten some experience under his belt. This would also “future proof” the series, not limiting the stories they could tell based on what Captain Cold is doing on Flash this week. I am very much for this and can’t wait to see Darvill return to travel throughout all space and time. If this turned out to be an anthology series, that would be awesome. A veritable Showcase if you will. What if it isn’t really Rip Hunter, but a splintered time duplicate of Rory Williams-Pond pretending to be Rip Hunter?